Stir all ingredients over ice and strain over a clear iceberg of an ice cube. Top with bitters. 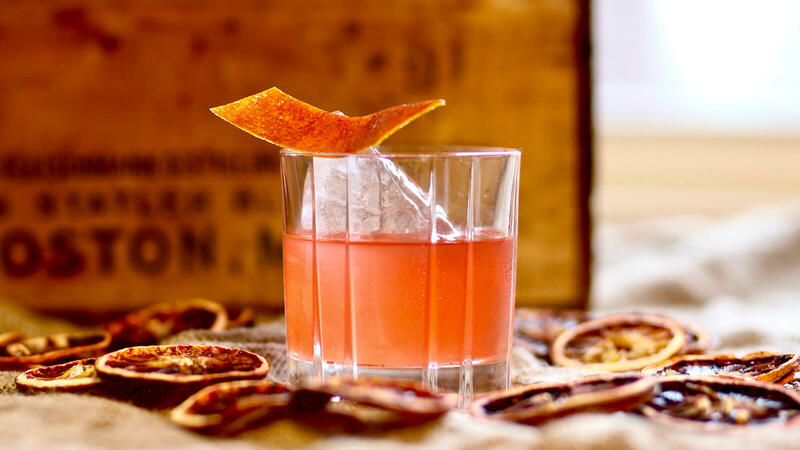 Garnish with a blood orange twist.